What would the Bulgarian cuisine look like without the white brined cheese and the yellow cheese? 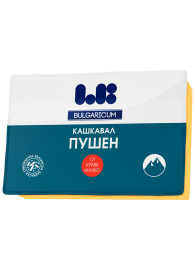 These products are also a traditional component of the portfolio of “LB Bulgaricum”. They are made of natural high-quality cow milk and they do not contain any genetically modified ingredients, which contributes to their pleasant lactic taste and high nutritional value. They are suitable both for appetisers and for main courses because they have undergone the necessary ripening process. 2019 LB Bulgaricum. All rights reserved. We will contact you shortly to clarify details on the request.